NEWS We have land streamers with up to 20 ft spacings. KD Jones Instruments- Noggin 250The Noggin is a complete GPR system in a single package. We have added two 84 electrode SuperSting R8/IP to our rental pool. K.D. Jones Instrument Corporation provides geophysical solutions to archeological, environmental, geological, geotechnical and groundwater problems. 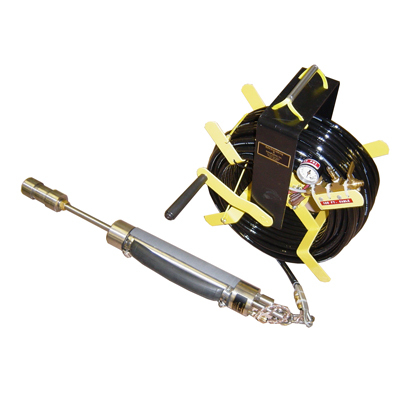 Our company sells and rents geophysical instruments used to image the subsurface. These images can help in the understanding and proving solutions to many problems. Our experienced personnel are available to help you choose the right instruments for the job and to help you through the operation of the instrument if you are unfamiliar with it. Product update–we now offer land streamers with up to 20 ft takeouts! We now stock the ballard source. Prices are listed under seismic equipment. Our Geophysical Equipment Rental instrument inventory includes Seismographs and Seismograph Accessories, Magnetometers, Global Positioning Systems, Pipe and Cable Locators, Ground Conductivity Meters, Ground Penetrating Radar, Ground Resistivity Meters, and Geophysical Equipment Software. At K.D. Jones Instrument Corporation, we like to think of the companies we do business with as partners, rather than customers. We do everything we can to help them make a profit. If they don’t make a profit our relationship will be short lived. We like to think of the people we deal with as personal friends. That doesn’t happen with everyone, but that is our goal, We pride ourselves on our service and monitor our phones 24 hours a day seven days a week, and yes that includes weekends and holidays. Are you interested in renting equipment? To view information available from our Manufacturer's websites, visit our page on resources. Revise links.